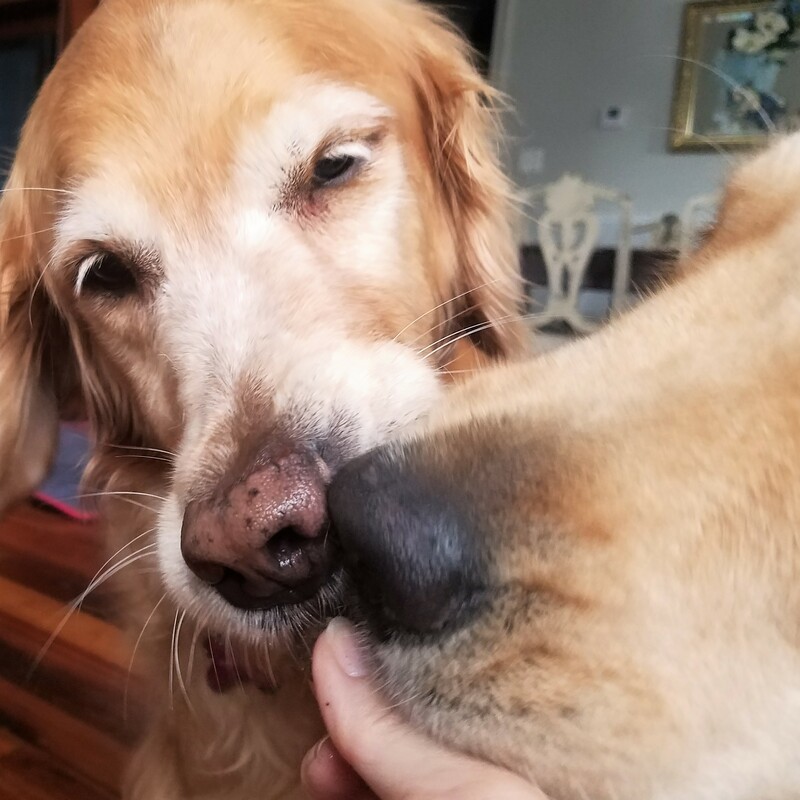 My now 14-year-old dog is functioning much better with hemp! Thanks so much for the link to your post! Researching and reading promotional materials from companies is one thing, but seeing the actual benefits you saw for Jazz is even better. I’m sold! Interesting. Does it have an effect on dogs like catnip does on cats? We have never tried anything with hemp. From our very limited experience and from what my human mommy has read, quite the opposite. 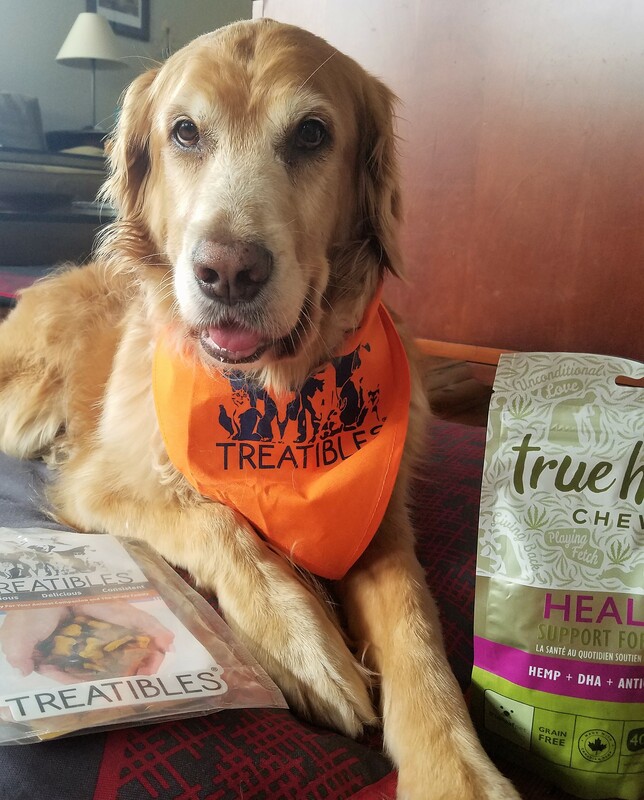 The Treatibles promotional materials actually recommend using their chews to treat anxiety caused by separation, thunderstorms, fireworks, car rides, vet visits, etc. We are using CBDs for Bentley’s itching with great results! I have some Treatibles coming too. 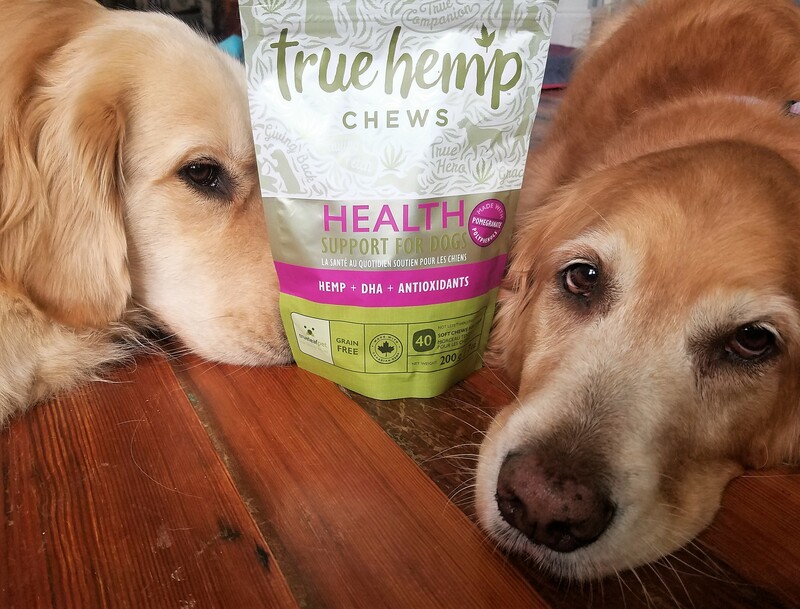 I love being able to treat the boys with hemp-based natural products. Now, if they would only make it legal for me to take for my arthritis! We are HUGE fans of CBD oil and not just because we live in Colorado, the marijuana capitol of the country in sales. Oy…but that’s another story. 😁 My vet recommended we give Elsa CBD oil in conjunction with her anti-seizure meds and it’s been pawsome at keeping the epilepsy-monster at bay enough that hopefully we will be able to reduce the dosage of Phenobarb. I can attest to its anti-anxiety abilities when we go on long car trips. Sam ‘loves’ the idea of the car but once you turn the key he is terrified. Now he can ride in peace and happily exit when we arrive at our destination not a wreck. Thanks for sharing your review of a useful product that can improve the lives of pets everywhere. Bravo! Thank you for sharing your experiences! I’m so happy that you’ve seen such excellent results with Elsa and Sam. I’m also thrilled to hear that your vet recommended the CBD oil for Elsa. I’m currently taking herbs (not that kind 😉 ) and adding “cool” foods to my diet for my hip and elbow dysplasia, and my late canine sister Lexi had acupuncture with amazing results. Love when our vets think outside the box! Very interesting and informative post! My humom had considered hemp treatment for my furbrother Keiko because he’s got joint issues (he’s almost 14!). She will look into it more! Thank you for sharing! Great post MLH. Sometimes it’s hard to wait but it appears that your patience indeed was a virtue as evidenced by the relaxed and satisfied look to both you and your sissy. 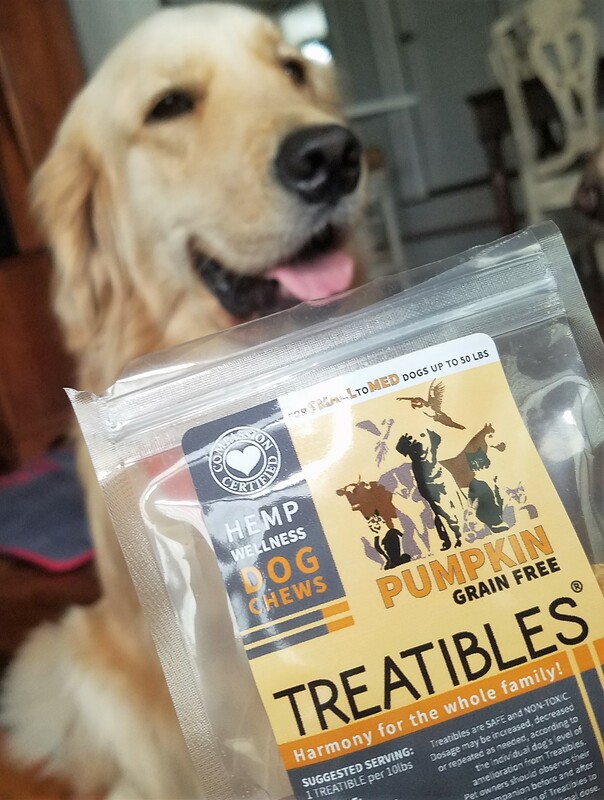 I have been reading and hearing quite a bit about the value of hemp and CBD for not only you pups but for us humans as well. My daughter is very educated on the subject (human use) having worked for a cannabis pharmacy for a while and has shared a lot of info with me. Please thank your mom for sharing this educational and helpful info. Thank you so much for the kind words. There are so many amazing natural options out there for humans and pups. It’s nice that we have such a great community and so many special friends who are eager to share their experiences. I’ve heard from a few people who were hoping CBD oil would help their dogs cope with firework and thunderstorm anxiety. I predict we’ll start seeing blog posts telling us how it worked. Hummm – Very interesting. We might give them a taste here at the Zoo, just concerned about interaction with current medicines. Thanks for the review. As always, you are a great reviewer. Thank you. Although we didn’t read about any potential interactions, I would definitely check with your vet. Hope you get the thumbs up! 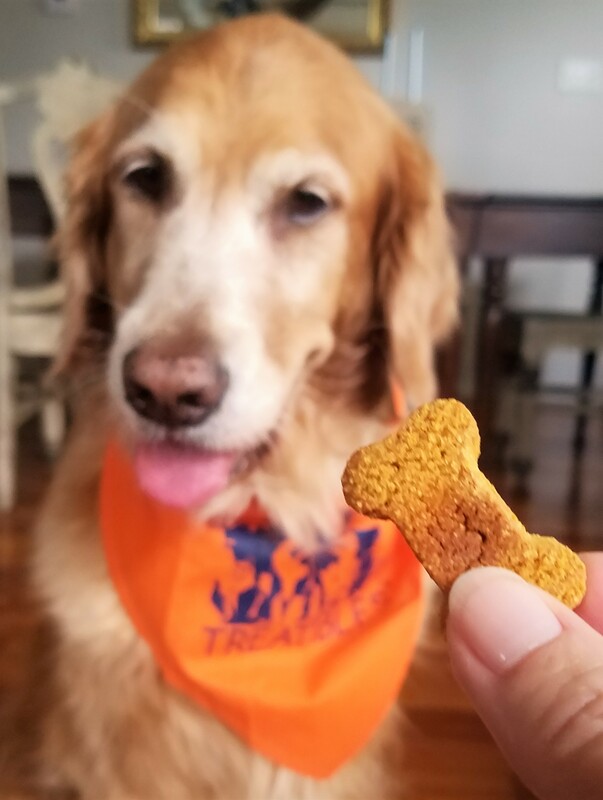 Those treats were a big hit around here too! So big we had to ask the company for more so we can conduct some experiments to see if they have the benefits we are hoping they will. 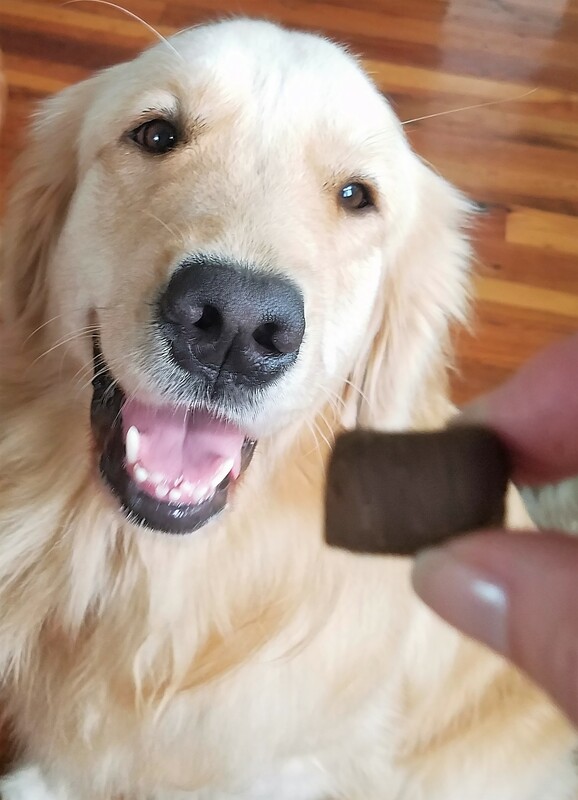 Well, the humans are hoping for….the dogs are just happy they’ll be getting more yummy treats! Such a bonus when something that’s good for you tastes good too. Hope you see good results!